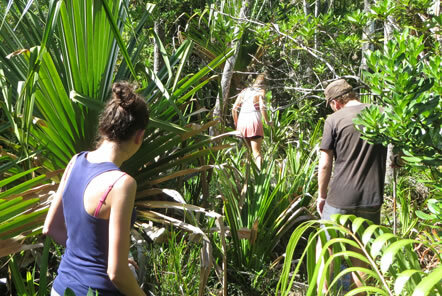 Throughout 2016 the Madagascar Conservation team have conducted ‘lemur transect’ surveys and this is now one of the project's most important research topics. Ongoing, year-round data collection is crucial for accurately monitoring population size, density and the spatial distribution of lemur species inhabiting the forest fragments. Even though this study has been running for over five years, some of the forest fragments still remain under-sampled. Consequently the research team, with the help of volunteers, will continue sampling to strengthen the data before publishing the results in the near future. 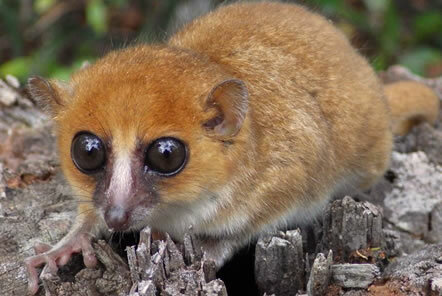 By investigating the suitability of the various forest habitats for the different lemur species, they aim to also assess the plausibility of future translocation in instances of lemur extermination. In the long term, translocation could play a key role in mitigating the impacts of logging and planned mining activity in the area, making this research essential to the maintaining current biodiversity levels found within the forest. 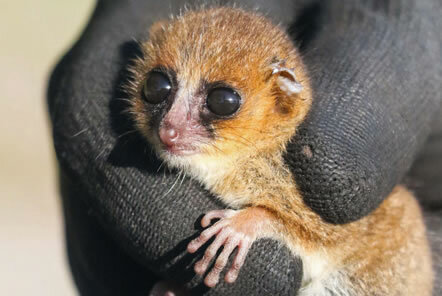 This year the team has collaborated with PhD student Sam Hyde-Roberts on his study into the effects of forest fragmentation on genetic diversity, which has sought to reveal the true identity of mouse lemurs in the area surrounding the research base. In order to obtain key genetic samples for in-depth analysis in conjunction with key phenotypical information, skin tissue and hair samples were obtained, morphometric measurements were recorded and photographs were taken – all in adherence with strict ethical codes of practice. These measures may lead to the exciting discovery of a new species of lemur as listed by the International Union for Conservation of Nature (IUCN) Red List status in 2017! In addition to population data, the research team are also interested in the feeding habits of the diurnal red-collared brown lemurs, (Eulemur collaris). 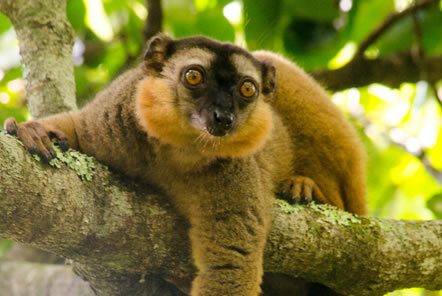 Currently, these lemurs are only found in two out of the five forest fragments in the area. Both areas are still threatened by illegal logging as well as uncontrolled slash and burn agriculture by the local community. Protecting and expanding the brown lemurs' existing habitat and their population size is thus a high priority, especially given the species’ integral role in seed dispersal and forest regeneration. 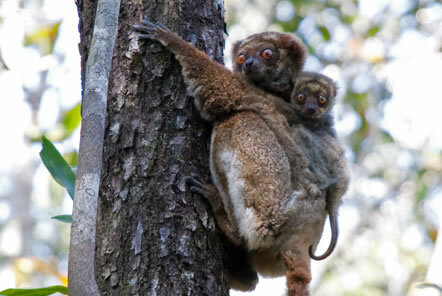 Based on preliminary results from the projects ongoing feeding lemur study, the Madagascar Conservation team discovered that brown lemurs preferentially feed on leaves and flowers, followed by berries and insects. They also found that although the tree species most commonly used by lemurs vary slightly across seasons, but there are a certain few that they feed on year-round. The project identified the top eleven tree species that lemurs visit regularly and in light of this information have instigated a new study at the beginning of 2017 to identify and quantify the distributions and densities of these lemur feeding trees in a brown lemur stronghold forest segment. These densities will then be compared to those in another forest fragment, which is a potential candidate for brown lemur reintroduction. If results indicate that there are too few feeding trees in the potential new forest area to support brown lemurs, the conservation team with the help of volunteers will begin efforts to replant and protect existing populations. 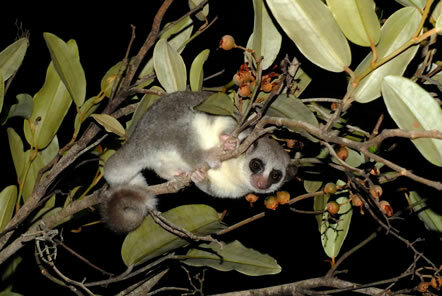 Conversely, if the results show that the feeding tree populations in both fragments are comparable, it will provide key evidence to support a translocation or introduction of brown lemurs to the new area.